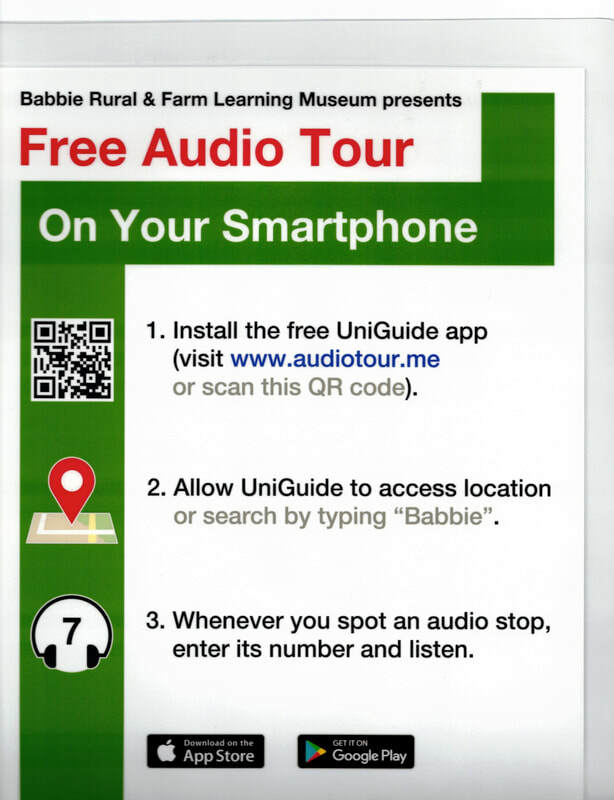 The Babbie Rural & Farm Learning Museum is proud to present its new free Museum Audio Tour! The museum was part of a grant for small nonprofit museums in New York State to produce audio tours for their visitors. After developing scripts for 24 of our main exhibits, the personnel at Uniguide Audio Tours produced a professional audio tour that visitors to the museum can access on their phones. Visitors can either use their data to listen to the audio tour while at the museum or download the tour to their phone before there visit (25 mb) and simply delete it after the tour. Many thanks to the pros at Uniguide. ​UniGuide is developing media tour content as well as mobile apps that provide free access to 650+ audio tours all over the United States. The company released its first app in 2016, and since then has produced more than 100 audio tours for US museums, parks, arboretums, zoos, and other venues.